The idea to make pencils that smell good began in an apartment in Vancouver back in 2000. But trying to add scent to wooden pencils proved difficult. So once the idea of using pencils made from recycled newspapers developed, the product started to really come together in 2001. Our company started out supplying Smencils to schools to help them raise money at a time when non-nutritional food and chocolate fundraising started to decline. 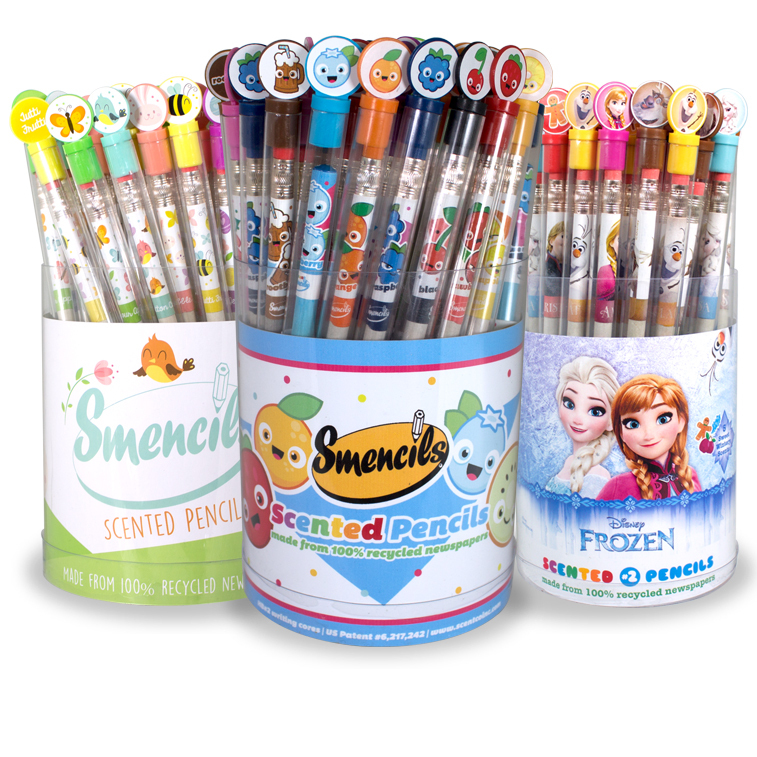 Over the years, fundraising groups have sold Smencils to raise millions of dollars to help pay for everything from uniforms to playground equipment. And we’re super proud of this! Over the years, the “scented products” concept has resulted in many other innovations like pens, markers, crayons, sketch pads, and stickers. More recently, our product development team in California has introduced scented toys, pillows, and stuffed animals. And there are a lot more products in the works. We’ve partnered with some great companies like Disney, Marvel, DreamWorks, and Crayola to merge their popular characters with our delicious scents and creative designs. You can find our scented products in stores and online…….because we just want the world to smell a bit better! Sign up for our mailing list and be the first to know about cool new products, deals and promotions.